Airships are about as iconic to Final Fantasy as Chocobos, Moogles and Cids. Ever since the first game, at a certain point in the plot, our heroes open up the map by taking to the sky in a sweet, ever floating ride, and that's when the fun truly begins. Final Fantasy XV doesn't seem to be built for the idea of an airship. Of course, the main focus has been on the car this time around, and the massive world screams to have the ability to fly above and take in the sights. With a map this big, Director Hajime Tabata explains to Gamespot that including one is "a huge technical challenge" and that the presence of airships is yet "to be determined." Obviously, you have the huge map of Final Fantasy XV that comes into play, but the inclusion of an airship would force Square Enix to have the world wrap around itself. It's simple enough for the older games, which had world maps that were not created to scale, but the sheer size of Final Fantasy XV's would require an astronomical level of engineering to make that wrap-around feel natural. The other option is of course an invisible wall at the end of the world, but I seriously doubt anybody within the development team wants to do that. My guess is that if an airship comes into play, it won't be controllable in the way the older games used one. Look for it to act as the game's fast-travel mechanic, which the series has done ever since Final Fantasy X.
I'd be cool with that just as long as I could enter and walk around inside. Tabata further talks about the world of his game, claiming that it is one giant land mass. "This is a fantasy based on reality. The towns and the cultural references that you see throughout the world, you'll get a sense of realistic towns and cultures. That's one aspect that has remained since the title was first named Versus XIII. "The first town that was showcased was based on Shinjuku in Japan, and one area we showed in December was based on Havana in Cuba. And the other watery town we showed is based on Venice. So those are some cultural references that have been made within the game." "If those areas were disconnected, it would feel distant from reality. You'll find that you'll be able to walk or drive or take a train and travel through this world seamlessly. I feel you'll be able to experience something similar to a real trip." Tabata further dives into personal experiences with Final Fantasy's dungeons and how he wants to capture the same feeling of dread he felt when jumping into one as a kid. Summons also play a large part in the game as the "protectors of the planet, guarding parts of the world from annihilation." So yeah, despite the new and flashy appearance, this is still a very classic Final Fantasy experience at heart. "In XV, having very many challenges moving forward, including responding to fans and the technical updates required, the company structural changes… There are so many factors and I'm unsure of the reasoning behind being given the opportunity to pick up and lead the project. But it is what I was tasked to do. I really believe I've been given a big challenge, and in that respect I am very honored for the opportunity." 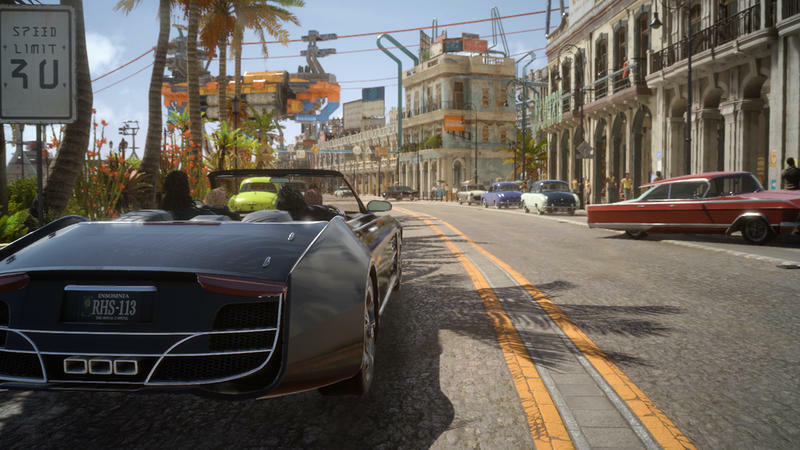 Final Fantasy XV will be released for the PlayStation 4 and Xbox One.